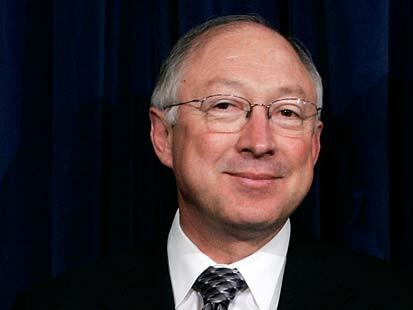 US Department of the Interior Secretary Ken Salazar told participants at a summit meeting “that U.S. offshore areas hold enormous potential for wind energy development in all coastal metropolitan centers, and the wind potential off the coasts of the lower 48 states could exceed electricity demand in the U.S. The National Renewable Energy Lab (NREL) has identified more than 1,000 gigawatts (GW) of wind potential off the Atlantic coast, and more than 900 GW of wind potential off the Pacific Coast. There are more than 2,000 MW of offshore wind projects proposed in the United States, according to the Department of Interior. The total wind potential for the Atlantic region is 1024 gigawatts (GW), and 1 GW of wind power will supply between 225,000 to 300,000 average U.S. homes with power annually, according to U.S. Geological Survey-Minerals Management Service Report. New Jersey is tripling the amount of wind power it plans to use by 2020 to 3,000 megawatts, or 13% of New Jersey’s total energy, according to AP. In Atlantic City alone, the local utilities authority has a wind farm consisting of five windmills that generate 7.5 megawatts, enough energy to power approximately 2,500 homes, according to the article. The biggest potential wind power is located out in deep waters (see chart above) — 770.9 GW in the Atlantic, 891.4 GW in the Pacific and 67 GW in the Gulf, according to NREL. The laboratory assumes that about 40% of wind potential, or 185 GW, could be developed, to power about 53.3 million average U.S. homes. But some believe Salazar’s estimates are too optimistic. Mark Rodgers, a spokesman for Cape Wind, pushing to build a wind farm off Cape Cod, Mass., told the Associated Press that it would take hundreds of thousands of windmills with the average wind turbine generating between 2 to 5 megawatts per unit. The draft plan covers how the state would plan and oversee all sorts of projects located within the state waters, including wind, tidal and wave farms. Massachusetts released a draft of a plan Wednesday that would govern the permitting and management of projects such as tidal and wave energy farms. Touted by the state as the first comprehensive ocean management plan in the country, it aims to support renewable energy and other industrial operations in the state waters while taking care to protect marine resources, the state said. But creating a management plan would help to ensure a more careful planning and permitting process. Other states might follow Massachusetts’ step as more renewable energy project developers express an interest in building wind and ocean power farms up and down the Atlantic and Pacific coasts. The federal government also has taken steps to set up the regulatory framework, especially because the current administration is keen on promoting renewable energy production and job creation. Earlier this year, the Department of Interior and the Federal Energy Regulatory Commission settled a dispute over their authorities to permit and oversee energy projects on the outer continental shelf. Last week, the Interior Department issued the first ever leases for wind energy exploration on the outer continental shelf. Generating energy from ocean currents holds a lot of promise, but it also faces many technical and financing challenges. Companies that are developing ocean power technologies are largely in the pre-commercial stage. Creating the management plan would yield maps and studies showing sensitive habitats that would require protection, as well as sites that are suitable for energy projects. The state is now collecting public comments on the plan, and hopes to finalize it by the end of the year. The West has been at the forefront of the country’s development and implementation of renewable energy technologies, leading the way in passing effective Renewable Portfolio Standards and harnessing the region’s significant renewable energy resources. The initiatives announced at the recent annual western governors’ meeting offered a collaboration of federal and state efforts to help western states continue to lead in energy and climate issues, while driving U.S. economic recovery and protecting the environment. Secretaries Chu, Salazar and Vilsack and Chairs Sutley and Wellinghoff offered the western state governors next steps to tap renewable energy potential and create green jobs, focusing on energy strategies and initiatives to support their states and constituents. 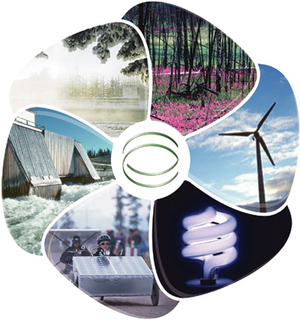 Included in these initiatives are the development of a smarter electric grid and more reliable transmission system, protection of critical wildlife corridors and habitats, promoting the development of renewable energy sources and laying the groundwork for integrating these energy sources onto the national electricity grid. “Our collective presence here demonstrates the Obama Administration’s commitment to working with the Western governors as we begin to meet the challenge of connecting the sun of the deserts and the wind of the plains with the places where people live” said Ken Salazar, Secretary of the Interior. “FERC looks forward to coordinating with DOE and working with the states and local planning entities and other interested parties in the course of facilitating the resource assessments and transmission plans” FERC Chairman Jon Wellinghoff said. The Department of Energy announced $80 million in new funding under the American Reinvestment and Recovery Act to support long-term, coordinated interconnection transmission planning across the country. Under the program, state and local governments, utilities and other stakeholders will collaborate on the development and implementation of the next generation of high-voltage transmission networks. The continental United States is currently served by three separate networks or “interconnections” – the Western, Eastern and Texas interconnections. Within each network, output and consumption by the generation and transmission facilities must be carefully coordinated. As additional energy sources are joined to the country’s electrical grid, increased planning and analysis will be essential to maintain electricity reliability. Secretary Chu announced the release of a $60 million solicitation seeking proposals to develop long-term interconnection plans in each of the regions, which will include dialogue and collaboration among states within an interconnection on how best to meet the area’s long-term electricity supply needs. The remaining $20 million in funding will pay for supporting additional transmission and demand analysis to be performed by DOE’s national laboratories and the North American Electric Reliability Corporation (NERC). Secretary Chu announced $50 million in funding from the American Recovery and Reinvestment Act to support state public utility commissions and their key role in regulating and overseeing new electricity projects, which can include smart grid developments, renewable energy and energy efficiency programs, carbon capture and storage projects, etc. The funds will be used by states and public utility commissions to hire new staff and retrain existing employees to accelerate reviews of the large number of electric utility requests expected under the Recovery Act. Public utility commissions in each state and the District of Columbia are eligible for grants. The Department of Energy also announced that $39.5 million in Recovery Act funding will be available for state governments to improve emergency preparedness plans and ensure the resiliency of the country’s electrical grid. Funds will be used by the cities and states to hire or retrain staff to prepare them for issues such as integrating smart grid technology into the transmission network, critical infrastructure interdependencies and cybersecurity. Throughout this process, the emphasis will be on building regional capacity to ensure energy reliability, where states can help and learn from one another. Funds will be available to all states to increase management, monitoring and assessment capacity of their electrical systems. The Department of Agriculture announced $57 million in funding for 30 biomass projects. The projects – $49 million for wood-to-energy grants and $8 million for biomass utilization – are located in 14 states, including Arizona, California, Colorado, Idaho, North Dakota, New Mexico, Nevada, Oregon and Washington. In keeping with the Obama Administration’s interest in innovative sources for energy, these Recovery Act funds may help to create markets for small diameter wood and low value trees removed during forest restoration activities. This work will result in increased value of biomass generated during forest restoration projects, the removal of economic barriers to using small diameter trees and woody biomass and generation of renewable energy from woody biomass. These funds may also help communities and entrepreneurs turn residues from forest restoration activities into marketable energy products. Projects were nominated by Forest Service regional offices and selected nationally through objective criteria on a competitive basis. Biomass utilization also provides additional opportunities for removal of hazardous fuels on federal forests and grasslands and on lands owned by state, local governments, private organizations and individual landowners. During today’s Annual Meeting in Park City, Utah, Secretaries Salazar, Vilsack and Chu agreed to partner with the Western Governors’ Association to enhance state wildlife data systems that will help minimize the impact to wildlife corridors and key habitats. Improved mapping and data on wildlife migration corridors and habitats will significantly improve the decision-making process across state and federal government as new renewable and fossil energy resources and transmission systems are planned. Because the development of this data often involves crossing state lines and includes information from both private and public lands, increased cooperation and coordination, like this Memorandum of Understanding (MOU), are important to developing a comprehensive view on the impact of specific energy development options. The Department of Energy and the Western Governors’ Association released a joint report by the Western Renewable Energy Zones initiative that takes first steps toward identifying areas in the Western transmission network that have the potential for large-scale development of renewable resources with low environmental impacts. Participants in the project included renewable energy developers, tribal interests, utility planners, environmental groups and government policymakers. Together, they developed new modeling tools and data to facilitate interstate collaboration in permitting new multistate transmission lines. In May 2008, the Western Governors’ Association and DOE launched the Western Renewable Energy Zones initiative to identify those areas in the West with vast renewable resources to expedite the development and delivery of renewable energy to where it is needed. Under the Initiative, renewable energy resources are being analyzed within 11 states, two Canadian provinces and areas in Mexico that are part of the Western Interconnection. As the Obama administration shapes its policy on transmission planning, siting and cost allocation, the Large Public Power Council (LPPC) has sent a joint letter voicing its transmission policy views and concerns to Energy Secretary Chu, Interior Secretary Salazar, Agriculture Secretary Vilsack, FERC Chairman Wellinghoff, White House Council on Environmental Quality Chair Sutley and Presidential Energy Advisor Carol Browner. The letter was sent to the Obama policy makers by Bob Johnston, Chair of the 23 member not-for-profit utility organization. Members of the LPPC own and operate nearly 90% of the transmission investment owned by non-federal public power entities in the United States. The LPPC’s membership includes 23 of the nation’s largest publicly owned, not-for-profit energy systems. Members are located in 10 states and provide reliable, electricity to some of the largest cities in the U.S. including Los Angeles, Seattle, Omaha, Phoenix, Sacramento, San Antonio, Jacksonville, Orlando and Austin.